Simply put, the most powerful county in the world and its chief satellites, the UK and France, have thrown the rule of law into the trash can. The only “law” now is the law of the jungle. There is no going back. Leaving aside for a moment the question of what really happened in the Syrian city of Douma, Stoltenberg knows very well what the mechanism is for a collective response by the international community. It is agreement by the United Nations Security Council (UNSC) to “determine the existence of any threat to the peace, breach of the peace, or act of aggression,” and to take military or non-military joint action to “restore international peace and security” under Chapter VII of the United Nations Charter. Such action is subject to veto by the permanent members: the United States, Russia, China, the United Kingdom, and France. This means that if it were determined to the satisfaction of all five permanent members, and presumably to a majority of all the countries represented on the UNSC at a given time, that aggression or another threat to peace had taken place, joint action, including military action, could be authorized. Under the United Nations system, which is the current governing law of the international order, authorization by the UNSC is the only justification for armed action by a state or group of states against another, other than a country’s “inherent right of individual or collective self-defense if an armed attack occurs” under Article 51 of the charter. 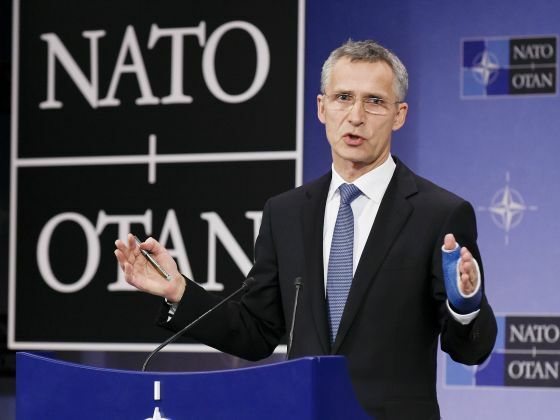 Stoltenberg knows this too, since NATO, the organization he heads, is ostensibly based on its members’ “exercise of the right of individual or collective self-defense recognized by Article 51” under the North Atlantic Treaty’s oft-cited Article 5. That’s why operations by Russia and Iran at the invitation of the Syrian government are legal, but those of the US, Turkey, and any other countries not given permission by Damascus are illegal. It cannot be stressed enough: the prohibition on any country’s committing aggression against another would apply even if the targeted county were engaged in appalling crimes. Such crimes would include Saudi Arabia’s horrific war against civilians in Yemen, abetted by the very governments self-righteously preening themselves over their moral credentials with respect to Syria. Western governments’ arrogation of the right to attack other countries in the absence of legal authority based solely on their own subjective assertion of fact serves as an incentive to fabricate the necessary circumstances to “justify” their actions. It is also an open invitation for false claims by interested governments and for false-flag attacks by combatants. 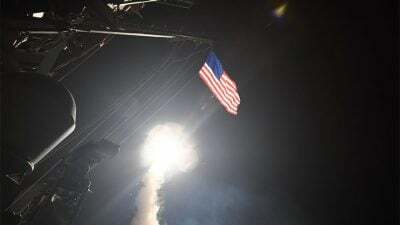 We can be sure that Douma will not be the last allegation of chemical weapons use as outside powers continue their efforts to prolong the Syrian war and thwart the legitimate government’s recovery of its territory from foreign-backed jihadists – whose own possession and use of chemical weapons is established.